GBPUSD is still under the influence of Brexit-related issues. 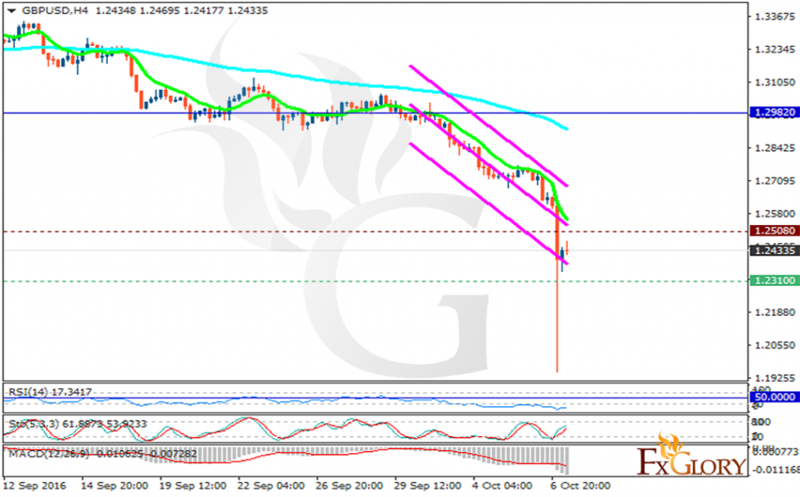 The support rests at 1.23100 with resistance at 1.25080 which both lines are below the weekly pivot point at 1.29820. The EMA of 10 is moving with bearish bias along the descendant channel and it is located below the EMA of 100. The RSI is moving in oversold area, the Stochastic is showing upward momentum and the MACD indicator is in negative territory. Now that GBPUSD has fallen down, it will grow back soon targeting the resistance area.